A free weekly newspaper in Greater Manchester is more than halving its print and moving to the pick-up model of distribution. 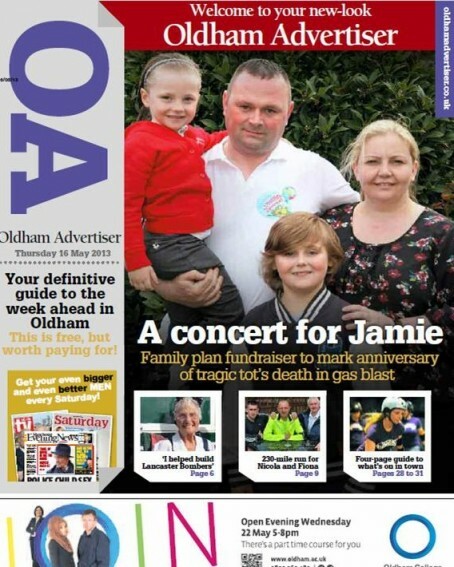 The Trinity Mirror-owned Oldham Advertiser was previously distributed free to homes and businesses in the town, with an average weekly circulation of 55,883 according to the last full set of ABC figures. However the paper is now “realigning” its distribution model with most of the copies available as pick-ups at supermarkets and the print run reduced to around 24,000. The title is also moving from 100pc free to part paid-for, with copies available for 75p in selected newsagents. The Advertiser underwent a radical relaunch last year which saw it adopting a poster-style front page and a digest of the week’s major stories on page three. Steve Anderson-Dixon, managing director Trinity Mirror North West, Manchester and North Wales, said: ‘Following the relaunch, the Oldham Advertiser’s ability to attract readership and drive response has improved enormously and to better serve a target audience for advertisers we have simply realigned our method of distribution. “We have deliberately reduced the number of copies we delivered door to door and have introduced an active pick up model in supermarkets and areas of high footfall. At the time of the relaunch last May, the company said it had “thrown out the rule book” for newspaper design. Realigned to an active pick-up model to invest in increased pagination in order improve reading experience. how does free pick up alongside 75p in selected newsagents work? who’s going to pay for it when most people pick it up for free? Stretford and Urmston Messenger have reduced its free paper delivery. l know as we no longer get it. it is free in big places like Tesco etc and in local newsagents you paper. l have seen tweets from local councillors saying that they seen the papers just dumped and not delivered. We found from bitter experience years ago that when following clothing collections pizza leaflets etc are mag was picked up with it hem and binned. All my mags are free to pick up in local shops and my advertisers can see that people come in their shop for them. we have simply realigned our method of distribution = slashed the thing to shreds. Remind me – does pick up work for Metro, Shortlist, Stylist, Time Out etc etc. Of course this is about reducing costs but why put out more copies than needed and in the most expensive way possible? I don’t think anyone should be dismissive about pick up because it works. Oh and by the way ‘John’ there are lots of places where people are prepared to pay for a ‘free title’ especially when their are no free titles left to be picked up. The Boston Target in Lincolnshire was always free but used to also sell 10,000 copies each week. Not surprising really, was only a matter of time before the Oldham Chronicle finished them off.